ISO 9001 is one of the most popular quality management system standards in the international stage. Before you embark on a journey to adopt it, however, you need to have an in-depth understanding of ISO 9001 basics to make it work for you. A quality management system (QMS) is a way of doing things in your organization to achieve intended results aligned with your overall goals. It genrally consists of a structure of processes, people, machines, and other resources to realize quality objectives. ISO 9001 is the international standard for quality management systems across all industries, and particularly in manufacturing. It is a uniform and well-organized platform used by organizations that enable them to perform consistent quality management. This, in turn, helps create satisfied employees and customers, as well as continual improvement. Is ISO 9001 for everyone? Many companies are becoming more aware that their customers want a guarantee that the products and services they are looking to buy will meet their quality requirements. Customers are looking for a definitive assurance that the products they purchase have gone through quality management best practices. The ISO 9001 model comes closest to such an assurance. 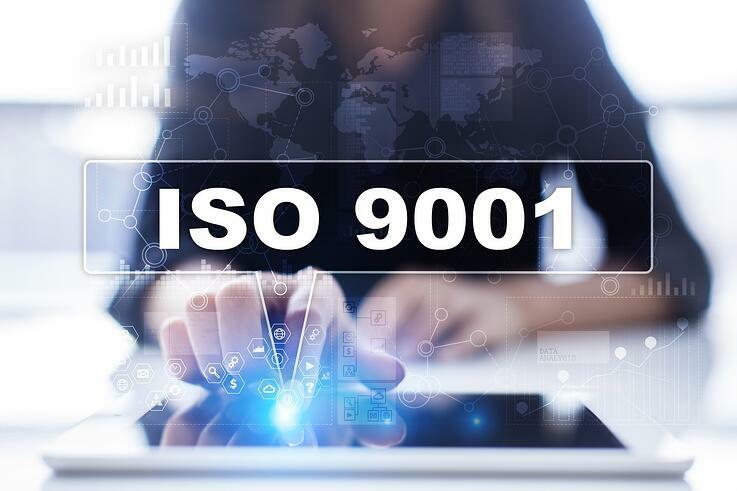 The 8 ISO 9001 basics are built on quality management principles that enable organizations to embed consistent quality into their products and create value for their customers. These principles are based on a range of norms, rules, and values that are regarded as true and acceptable worldwide. The primary focus of QMS is to meet and exceed customer expectations. You begin to see ISO 9001 at work when you observe increased repeat businesses from loyal customers and an expansion of your customer base with new customers. It is important for companies to use their ISO 9001 QMS to plan, develop, and deliver goods and services that satisfy customer quality requirements. Leaders don’t have to tell, order, or command employees to do something. True leadership requires developing a work culture in which people know and do what needs to be done under a unified purpose and direction. Leading by example is a good mantra that encourages employees to develop dependable work ethics without much prodding or goading. Leaders also need to improve coordination and communication systems among all functions in the organization to meet the desired quality objectives. Engagement of people is reasonably one of the most important ISO 9001 basics, people being an organization’s most important asset. When employees are engaged, they become more competent, empowered, and dependable to deliver value. Engaging people means respecting them as individuals, giving them recognition for their achievements, enhancing their personal and professional development, and constantly communicating with them. Leaders need to make their people understand that each individual activity they do is part of a host of processes that should link together to form one cohesive system. Leaders, employees, machines, and processes don’t each work in a silo. Their individual activities should be managed as interrelated processes to meet one objective. This process approach helps achieve more predictable and consistent results. It also enhances the ability of people to focus their effort on key processes for improvement. Successful organizations give importance to constant improvement. With a positive outlook on improvement, they can better react to changes in the internal and external environments if necessary. For example, technologies with which many processes are built come and go; they evolve too quickly or become obsolete. To prevent this from happening, employees at all levels need to be trained on how to apply new tools and methodologies. Leaders also need to integrate allowances for improvement on new products, services, and processes. Decision making can be a complex process that involves multiple inputs and interpretations. All data that are needed by decision makers should be accurate, reliable, and secure, and should be evaluated by competent people using suitable methods. Accurate facts and proper data analysis lead to more objective and confident decision making. Successful organizations establish relationships with relevant partners that help influence the performance of their organizations. Partners may include suppliers, resellers, investors, employees, customers, and the community. Aside from their employees and customers, companies may want to give importance to their suppliers, resellers, and investors to sustain the continuum in the supply chain. The process approach is interrelated to the system approach; in fact, it’s part of the system approach. This means that understanding, analyzing, and managing interrelated processes help in creating a coherent system that contributes efficiency and effectiveness in attaining organizational objectives. Understanding the ISO 9001 basics is an important first step in deciding if you need an ISO 9001 QMS. Before you take that plunge, you may want to ask yourself two questions. Why do you want to implement the standard? And is your senior management on board?